Description Low, mountable plastic, rubber, or concrete curb that can be bolted to pavement and used as barrier element. Typical Dimensions Length varies. 3 / 4 / 6 / 8 ft. long x 5.75 in. wide x 4 in. tall. Estimated Cost $30 - $45 / unit. Durability Demo: 1 day to 1 month installation / Pilot: 1 month to 1 year installation / Interim: 1 year to 5 year installation. Bikeways Center curb stops within the buffer zone along the edge of the bikeway. Typical spacing should be 8 - 20 ft. between stops, depending on the thoroughfare’s design speed / bikeway configuration. 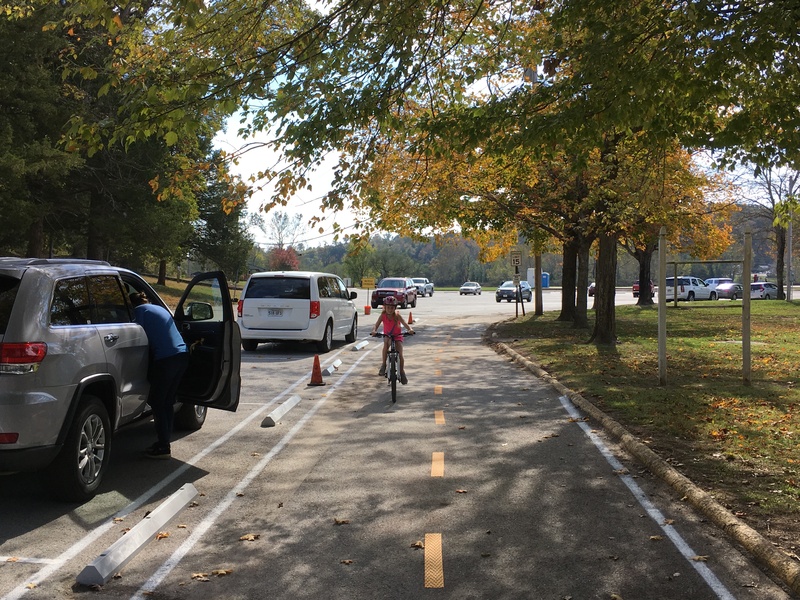 Allow gaps for curbside pedestrian access or for cyclists to cross through the barrier. 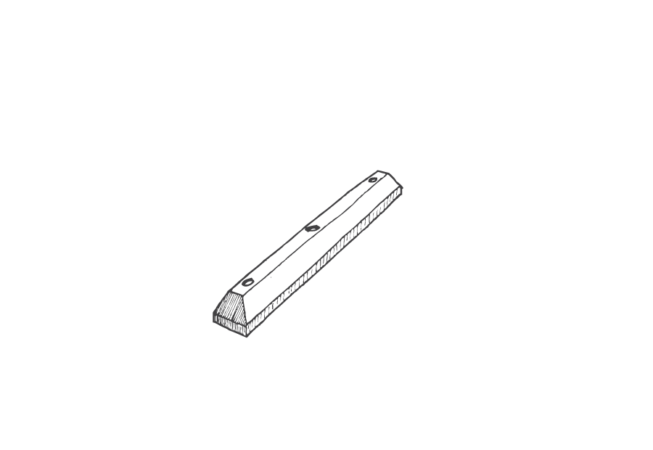 Allow a minimum of 1.5 ft. clear width for installation. Easily installed and removed --bolted or adhered to street surface with epoxy. Low profile may present a trip hazard; add reflective tape in areas with high pedestrian activity. 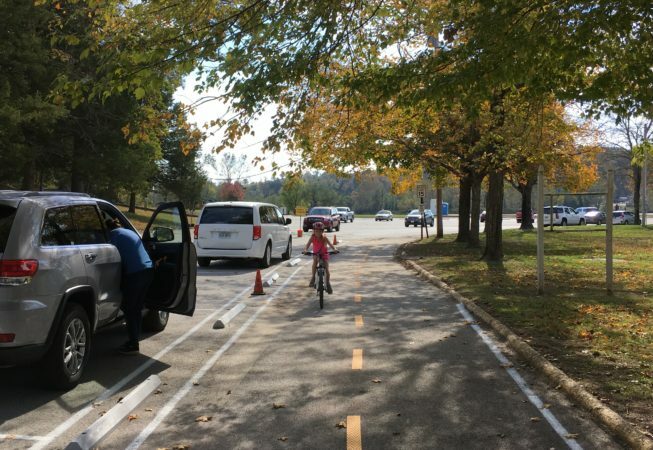 In most configurations, rubber curb stops will limit cyclist ability to cross over / through the barrier. Should only be used in places where this activity is not required. Not designed to be driven over on a regular basis. Can pose challenges for trash collection and other curbside services. 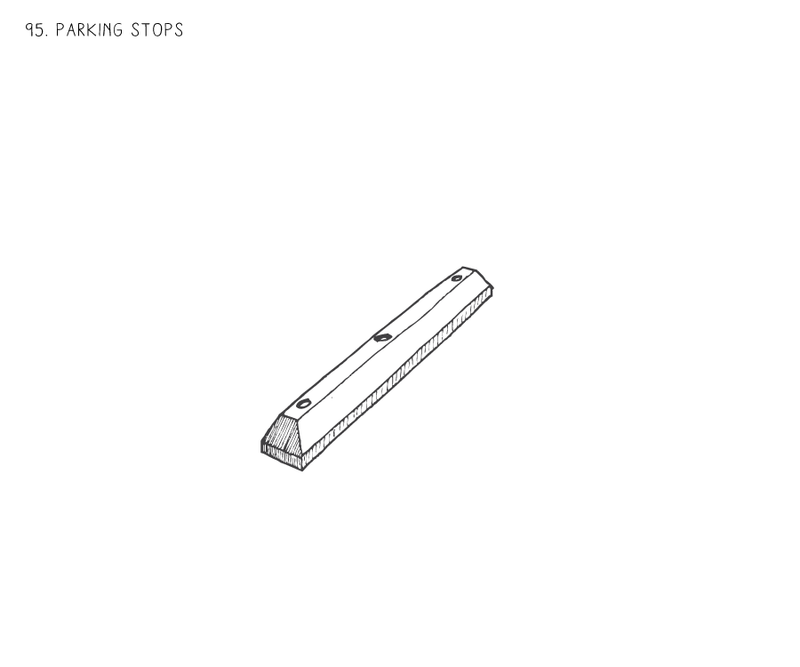 Use plastic curb stops for demonstration projects, rubber or concrete for pilot or interim design projects. Existing city public works inventory.